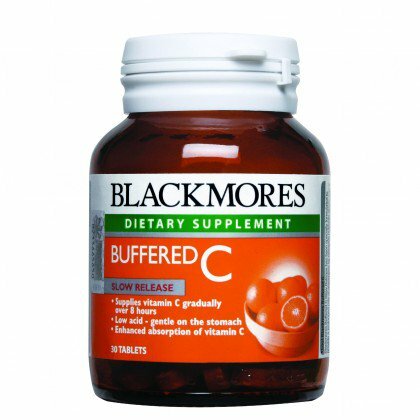 Blackmores Buffered C may help reduce the severity and duration of colds. It can assist with wound healing and helps maintain capillary health. The human body does not manufacture its own vitamin C and so it must be sourced from our diet. Stress of all kinds, including ill health and emotional stress, increases the excretion of vitamin C from the body and therefore raises the need for this vitamin. If dietary intake is low, or the individual's need is particularly high, vitamin supplementation may be of benefit. Vitamin C is involved in hundreds of biological processes. It is important in immunity as it is involved in the function of white blood cells and antibodies. It is therefore beneficial when dealing with the symptoms of the common cold.